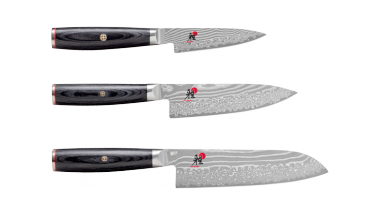 All Miyabi knives by series. 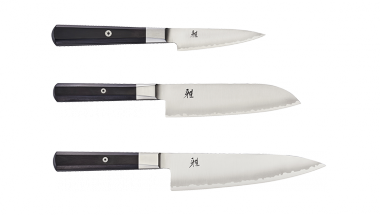 Uniquely designed precision tools that perfectly combine function and outstanding ergonomics. 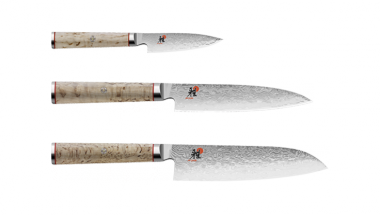 A symbiosis of elegant design, latest technology and centuries-old knife-making art. 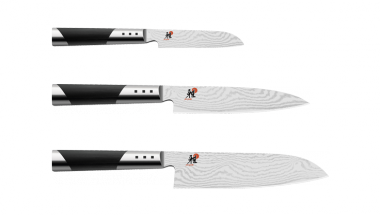 Knives with an appealing and stylish appearance, coupled with excellent functionality and impressive ergonomics. 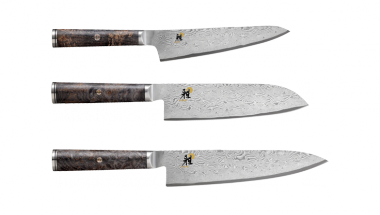 Black micarta and stainless steel handles lead to CMV60 blade, each with its unique floral Damask design. 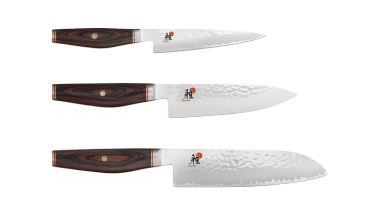 A combination of sharpness, comfort and functionality provides a perfectly balanced knife.